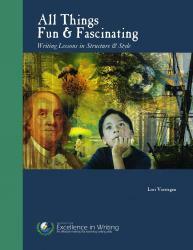 I am using All Things Fun & Fascinating by Institute for Excellence in Writing for my 9 and 10 year old boys this year. This excellent writing curriculum will also incorporate vocabulary and has a downloadable Teacher Supplement e-book with tips and hints for teaching, scheduling ideas, games, vocabulary lists, etc. 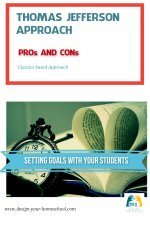 A complimentary Student Resource book is also available as a download at no additional cost. 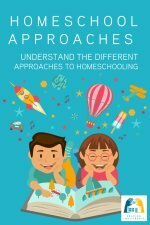 According to the publisher, All Things Fun and Fascinating uses funny characters, cunning creatures, and heroic men of history to keep lessons fun as students learn to take notes, summarize narrative stories, write from pictures, put together a mini-research report, and compose creative essays. 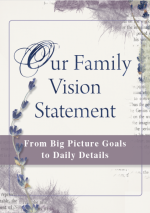 The lessons cover units 1 through 7 of IEW's writing programs. There are 9 total units covered in their various writing programs. Grading will be easy as the curriculum lists specifically what I am looking for, all which will have been given to the student in advance. Most of all I am excited to use this program, not only because it is of high quality, but because it is also very user (mom and student) friendly. I used one of the Student Intensives last year with 3 of my children and was pleased at how easy and clear the grading system was laid out with expectations clearly given to the student in advance. The cost of the book is $29 and it is geared for grades 3-5. There are also other themed writing lessons available: Ancient History, Medieval History, Following Narnia (which I will be using for my 12 year old), and Bible Based Writing Lessons to name a few. There is also a Student Writing Intensive DVD course option offered in 3 different levels. I highly recommend using IEW's writing program to turn reluctant writers in to capable and perhaps eager writers at course's end!